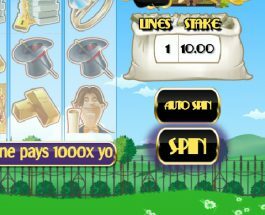 If you are dreaming of hitting the big win and living a life of luxury then take a look at the new slot Filthy Rich from Probability. Filthy Rich is a five reel slot with three rows and up to fifty paylines. The reels are set against a view of green fields and distant hills.